In addition to the insanely catchy new tune, PWR BTTM also announced some other incredibly exciting news: Tancred and Nnamdi Ogbonnaya have been added as support to the Nashville stop of their tour. The solo project of Now, Now’s Jess Abbott, we’ve been obsessing over Tacred since her eponymous, full-length debut in 2013, and with a new album, Out of the Garden, on the way, we’re elated to catch her incredible, poppy, indie rock in person once more. Genre-bending Chicago multi-instrumentalist Nnamdi Ogbonnaya likewise brings more range to this bill, and helps cement this as one of late spring’s most exciting events. 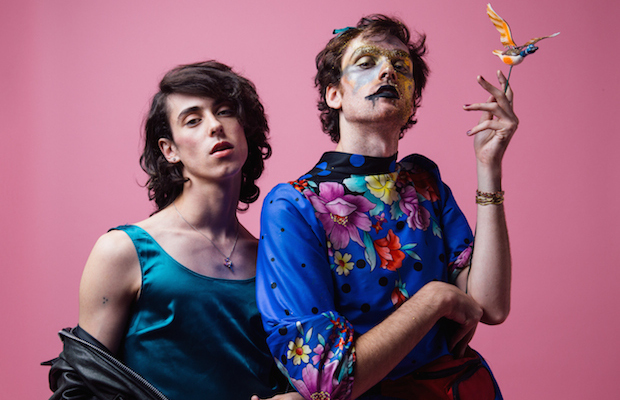 Grab tickets here while you can, hear PWR BTTM’s latest track, and preview the newly-announced openers below!